VALENCIA, CA - It’s the holly jolly citrus season, a.k.a. the best time of the year. I don’t know if there’ll be snow, but there will be lots of citrus cheer! With citrus varieties of all shapes and sizes available throughout this holiday season and well into spring, Sunkist Growers is gearing up for another great season. I spoke with Christina Ward, Director of Communications, to learn more about what Sunkist varieties retailers should have on their radar as we head further into the citrus season. 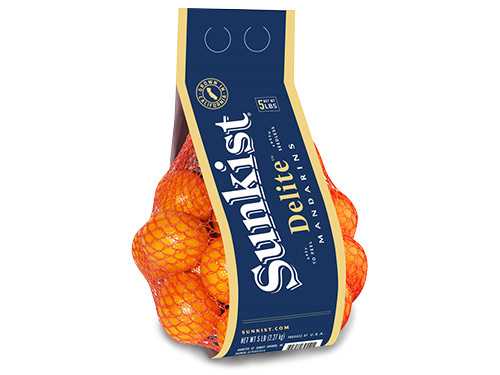 Christina emphasized Sunkist Delight™ Mandarins, which are going to be available from November and May. Christina also noted a few of Sunkist’s specialty varieties, including blood oranges and Cara Cara Navels, which are trending off-the-charts with consumers these days. “There’s continued growth with our specialty varieties, and you’ll see a lot of people gravitate towards our Cara Cara Navels and our blood oranges. And what we learned is the more people get exposed to and discover and experiment with our specialty varieities, they just fall in love,” Christina continued. “So, our goal is to really get our product and our citrus out there to the consumers, farm-to-table, so they really understand what they’re missing." From there, Christina revealed that shoppers won’t be able to stop their citrus cravings and that they’ll only want more after just one bite of Sunkist citrus. For the full details from Christina, watch our exclusive video above.